Now its turn of PM Narendra Modi’s life history to surface on the digital platform. 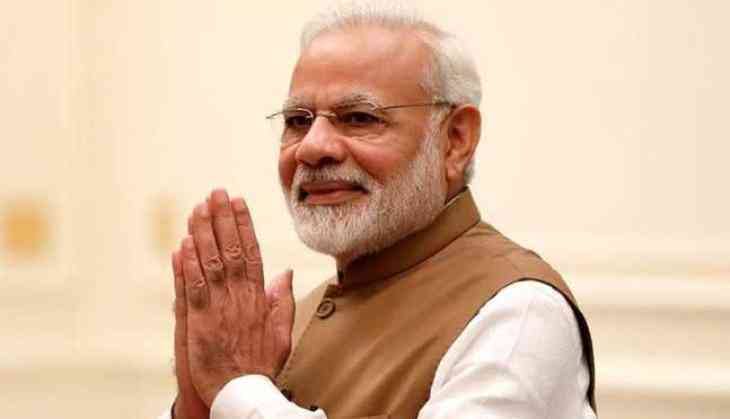 Soon there will be an announcement of Narendra Modi’s biopic which will have 10 episodes a Eros Now web series by filmmaker Umesh Shukla and writer and Censor Board member Mihir Bhuta is in the making, reports Mid-Day. The web series will show the chilhood as well the young Narendra Modi and will conclude the series with him taking oath as the Prime Minister. The shooting of the biopic has started in the rural Gujarat, Siddhpur and Vadnagar, the real locations where Modi grew up. Three actors have been roped in to play Modi among whom Veteran actor Mahesh Thakur will depict Modi's journey after his appointment as Gujarat CM. Whereas Ashish Sharma will play a younger version of him. The music of the series will be composed by Salim-Sulaiman. The series will not feature big faces, but good actors, said Umesh Shukla. "The PM's story is the biggest star. If we cast a known face, the viewer will not connect with the story, and will search for the actor. So, we have cast good actors, instead," he says of the project that was "silently" under works for a year-and-a-half," he told Mid Day. Shukla adds that the series will not be political, but showcase Modi's personality. "I'm interested in his personality. He has an amazing sense of humour, which few know about. He also has a deep interest in spirituality, not religion. The show follows his childhood and youth, the factors that influenced him, the way he was before, and how he emerged to be the person he is today. It concludes with him taking oath as the prime minister of India. We have started shooting in rural Gujarat, and are currently filming portions involving his youth, spent in Siddhpur and Vadnagar," he added.